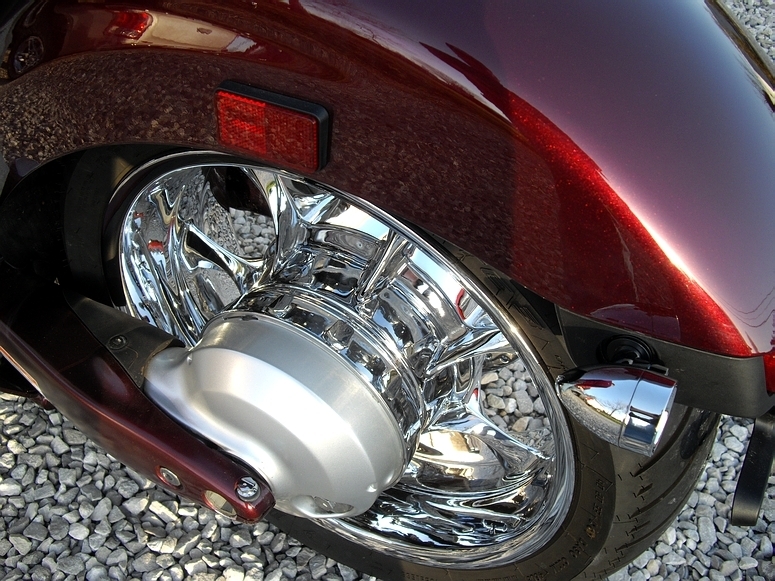 We take stock Honda Fury wheels to the next level. 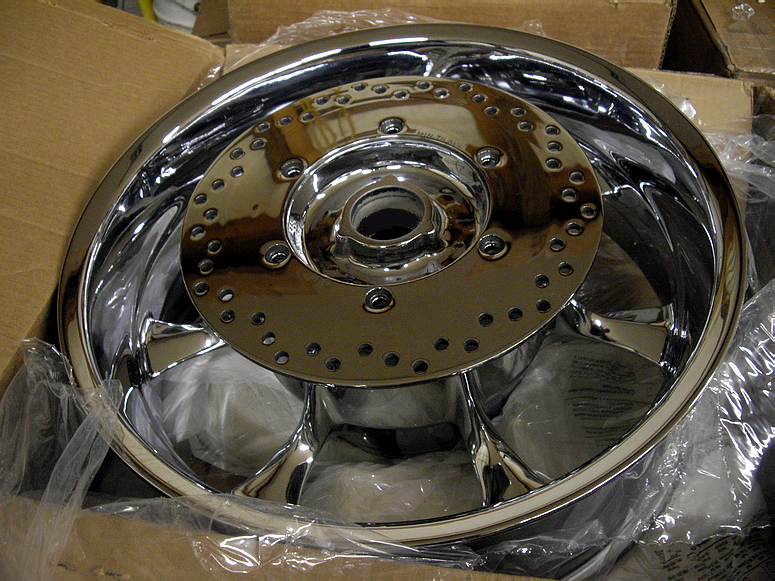 We shave all casting marks as well as the wheel weight ridges for a true custom wheel look. If you want that custom look and after market wheels just arent in the budget, heres the next best thing! 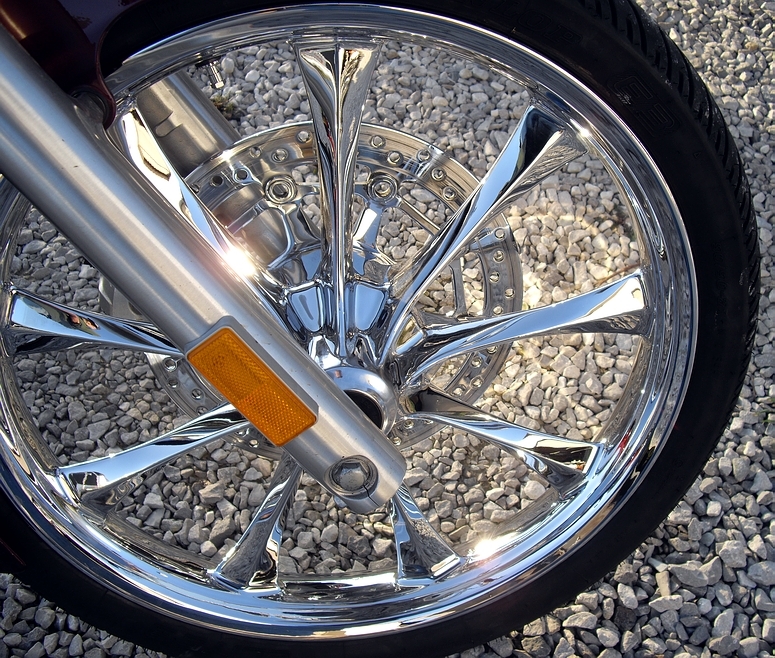 We offer Fury wheels chromed and shaved and chromed no shave. 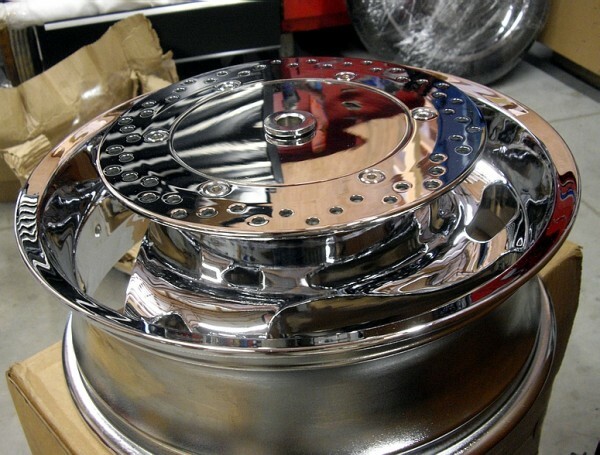 We also have mirror polished rotors, chrome fork lowers, final drives, swingarms, etc. We have been chroming Honda VTX’s for years and now offer the same services for the Fury, Stateline, Sabre, and Interstate. If you have questions feel free to contact us. All work is top shelf and guaranteed. This is on an exchange basis. 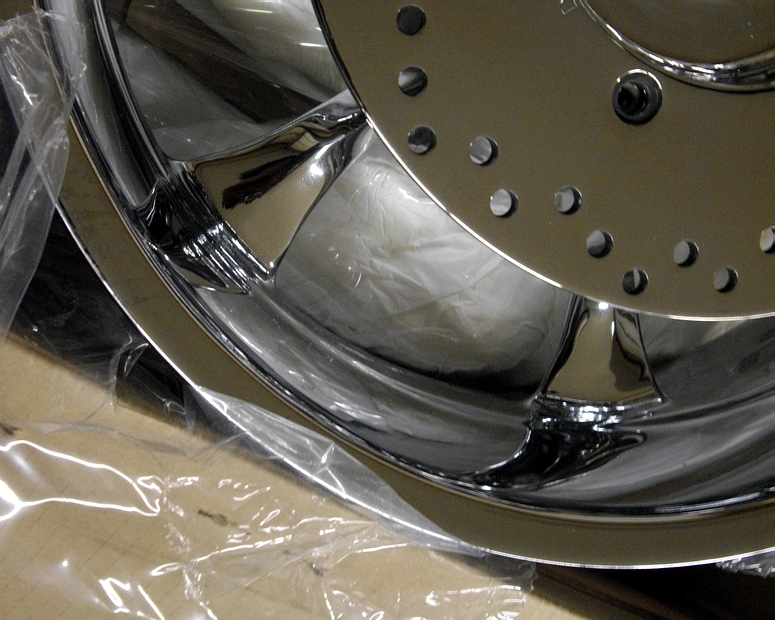 You will be required to send in your undamaged OEM wheels prior to shipment. We will also work with you to do the wheels up front and do the quick switch when ready with a required core depsosit. Deposit is refunded after we receive and inspect your undamaged or altered wheels. We also offer the rotor filler for these for $28. Its come to our attention that apparently someone was low & mean enough to show up with a clone product at a much higher price to Fury owners. Simple fact is we have been making this product for many years for the VTX’s and have continued to offer it for the Fury/Sabre/Stateline/Interstate etc since they arrived.. FOR LESS! We even give them away with wheel/rotor combo orders for free! Pricing for the wheels below includes the extra shaving on the wheels. 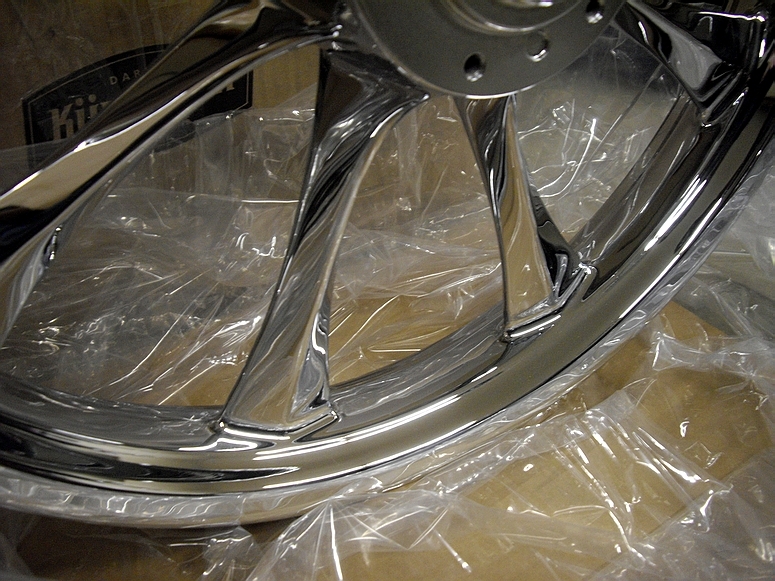 Stock chrome wheels without the extra shaving are also available for less. Just give us a call or send us an email.